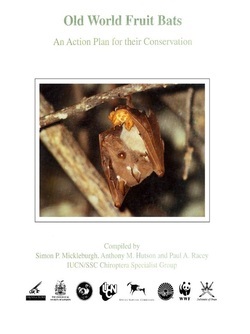 A progress report is available for the revision of the 1992 IUCN Old World Fruit Bat Conservation Action Plan (see attached below). At this point, the project is >20% through with revising the species accounts. We have completed literature searches as well as compiled expert lists and conservation-relevant bibliographies for 66 species (34% of all Pteropodids). For 51 of these species, we have solicited and received revision suggestions from experts and are currently collating responses for editing into final account drafts for review. We have sent 890 revision out to experts on 51 species and have a rate of return of roughly 13%, most of which are from conference participants with whom we have interacted directly (AP Revision Progress.xls). Our approach to revising this Action Plan is inclusive and comprehensive (see Approach to Revision.doc), which has proved at times difficult given how little is published on this taxon. However, we believe that the end result will encourage and coordinate conservation of fruit bats on many fronts. The up-to-date expert lists have 2-8 times the number of previously-known experts per species and now include many unpublished local biologists who are invaluable as long-term resources for place-based conservation. The bibliographies are current and as comprehensive as possible offering conservation-relevant publications, which are especially important to students and biologists in underdeveloped countries with minimal access to libraries and search engines. Barring any unforeseen obstacles, a conservative estimate for completion of the species account revisions would be in October 2012. If you have knowledge that you would like to share of the species listed in the spreadsheet, please contact cenuevo(at)gmail(dot)com. 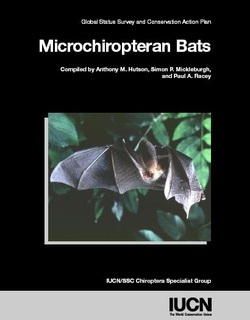 Hard copy location:IUCN Publications Services Unit. Please click on picture to download the PDF file, it is large and will take time, please be patient.